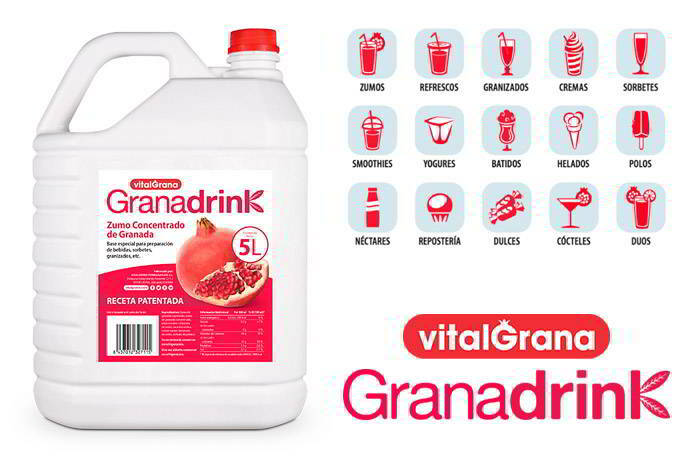 Whether you are a packaging industry and need pomegranate juice to pack or make your products, or if you need pomegranate juice to create new recipes in the hotel industry, Vitalgrana offers you various products so you can choose the solution that best suits you. To guarantee a personal treatment to professionals, all industrial products are served upon request. If you are interested in any of them, or need additional information, do not hesitate to contact us, we will be happy to assist you! 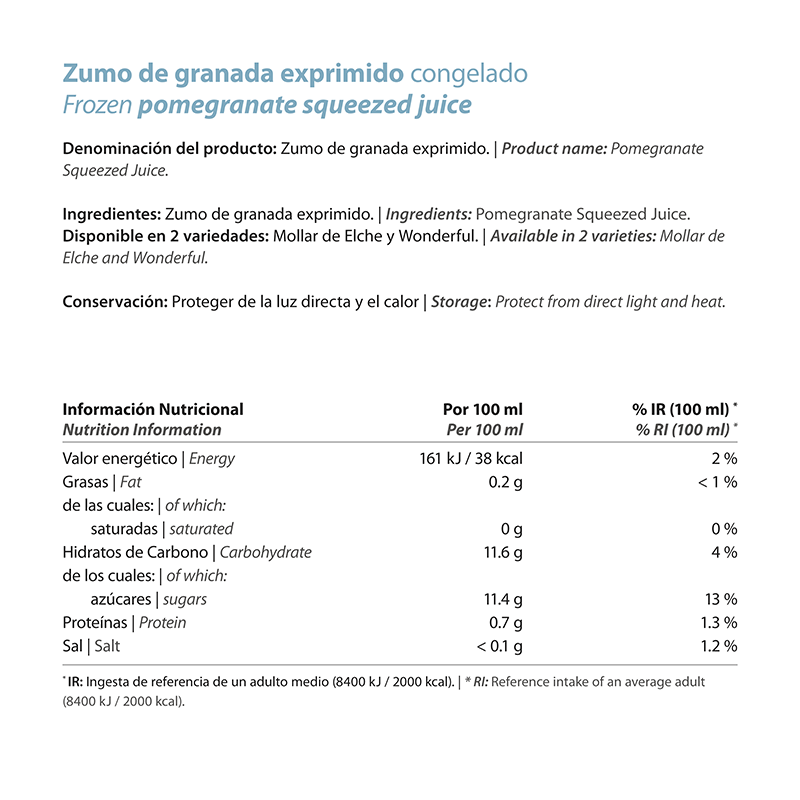 After selectively separating each part of the pomegranate and reassembling them in their proper proportion to make our juices, this juice for the food industry is immediately subjected to an ultrafast freezing, between -18º and -20º C, to maintain 100% of its properties. In this way, we manage to extend its life beyond 2 years maintaining all its organoleptic properties intact, including its precious ruby ​​colour. In this way, you can use it how and when you want, it will always be ready for you! Presentation: Drum of 182 kg approx. This pomegranate juice is the healthiest and most delicious option to prepare slushies, soft drinks, juices, ice cream, yogurt, smoothies, cocktails and desserts. It is ready to dilute at 1/6 ratio. Thus, a 5-litre container becomes 30 delicious litres of juice ready to use. 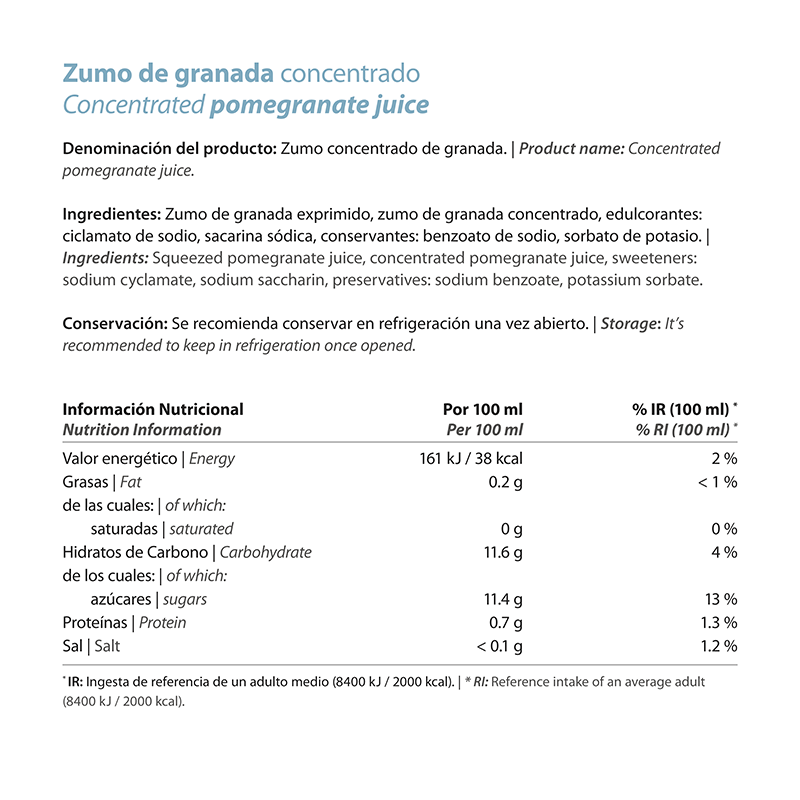 The best thing about our concentrated pomegranate juice is that it has as many uses and combinations as can think of. It is very versatile! You can prepare as many recipes as you can imagine: drinks, meals and desserts, with a new flavour, surprising and very pleasant to the senses. 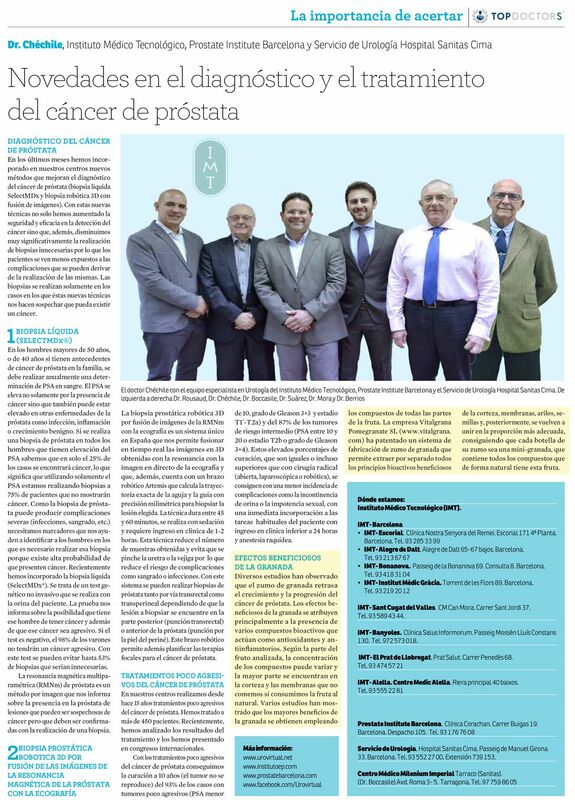 At Vitalgrana we provide products to companies that need them. In this way, you can select what you require from all our products or choose the frozen or concentrate product whose information you will find at the top of this page. You can contact us through the form or by phone and email. Thank you very much for your interest! 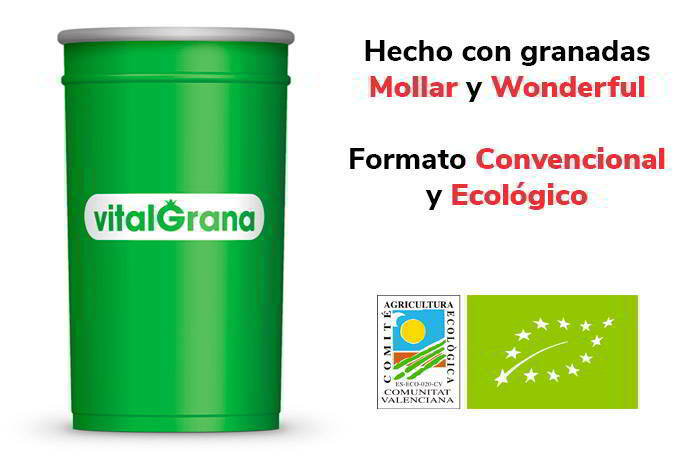 At Vitalgrana we believe in the value and quality of our local products. Therefore, the pomegranates that we use in our juices are harvested by ourselves in Alicante, Spain, an area with a high tradition in the harvest and production of this fruit and that has the necessary climatological and terrestrial conditions to obtain a high-quality raw material. In this way, by having our own production and processing, we control the entire process of making our products from start to finish and we can guarantee that the quality of them is unbeatable. 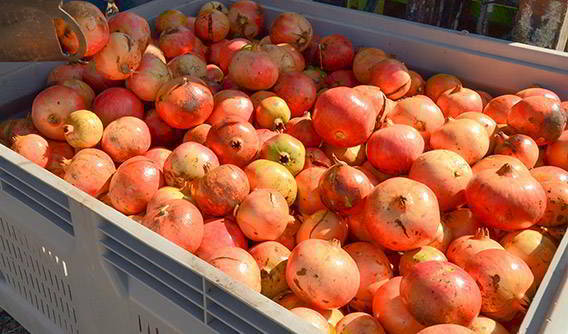 The pomegranates we use for our industrial products have been planted and harvested by ourselves in Alicante, Spain.